How do you let your viewers know that your project is responsive and available on all devices? A technology related Prezi Next presentation template with various IOS devices. Black iPhone, iPad and a Macbook laptop on a wooden desk and office scene background. A perfect presentation template for showcasing your website or application screens. Insert your own images onto the device screens and zoom into the topics. If you aren’t online, you don’t exist – that’s the motto for doing business in 2018. Use this Prezi presentation template to showcase that your business or service is also available on the world wide web. Template features a Macbook pro laptop, black iPhone and iPad standing on a wooden desk and a blurred office background scene. Use the “Replace Image” function to easily add your own image or web screenshot onto the device screens. 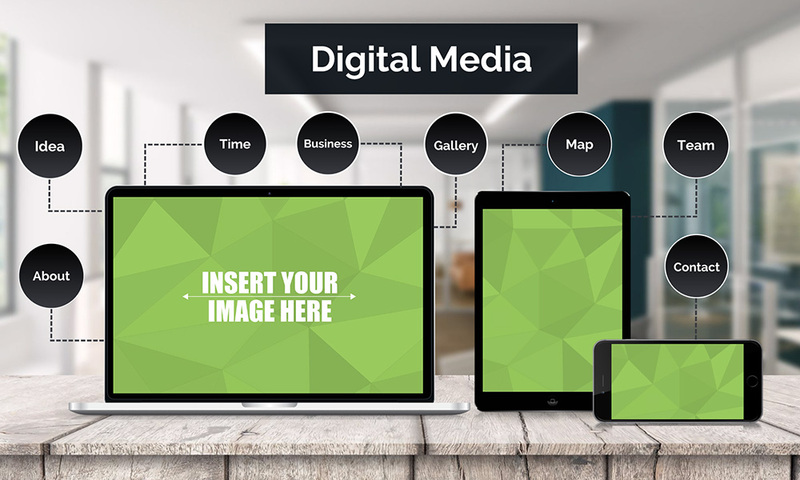 Make it clear for the viewers that your website is responsive and can be accessed from all devices or add a different image and concept for all devices. You can also easily play with the size and rotation of the devices – for example delete one of the devices, rotate the iPhone into a portrait version, or duplicate and add 2 iPhones, they are all separated graphics. If you’re done customizing the overview, then it’s time to zoom in and start adding some content for your presentation. The template is made up from black circles (change colors) which include a topic title. Add your own headline to each of the circles and then zoom in for the content. The presentation is filled with example content and slides which you can reuse or completely replace with your own. The example content includes an about page, mixed media content slides, a feature list, timeline, portfolio slide for a gallery, team introduction, zoomable vector world map and a contact page. The are also black dashed lines (change colors), which visually connect each topic to a device. You can easily rearrange and move the lines to point to a different device, or you can simply remove these connections. A simple and straightforward template for promoting website content for an online business or company. 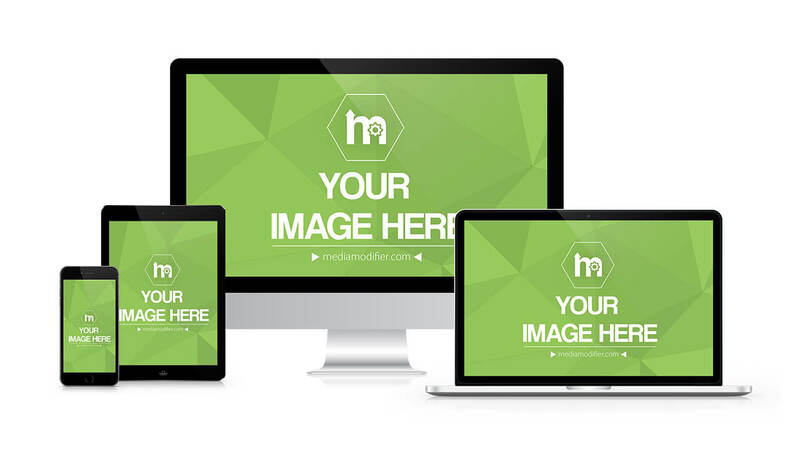 This presentation also includes a website mockup template with all 4 Apple device screens. It’s an easily customizable online mockup template that you can edit in your browser – No software needed. 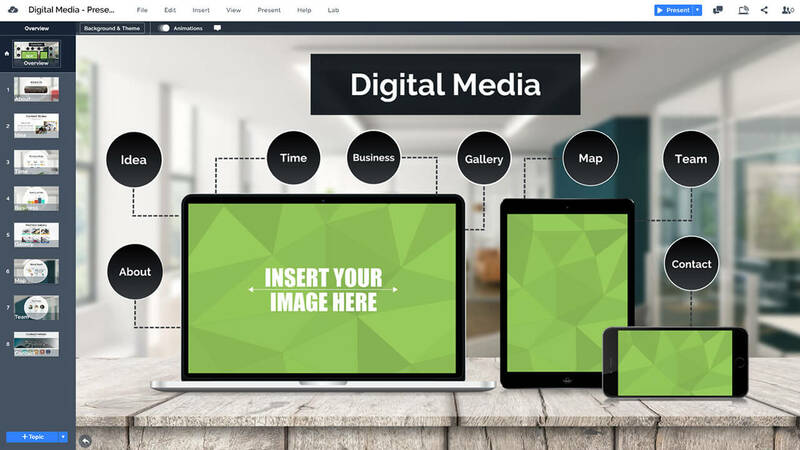 Use the mockup to replace the devices in your Prezi presentation or make an image to be used on your website. This entry was posted in Best Prezi presentation templates, Prezi Next Templates and tagged app presentation template, app promotion presentation, apple, apple devices on table, devices, devices presentation, imac, image on computer screen, ios, IOS presentation presentation, IOS screens, ipad, iphone, laptop, macbook, prezi next template, prezi template, technology, technology presentation, web page demo template, web page presentation, website demo presentation, website mockup presentation template, website mockup prezi, website presentation template.